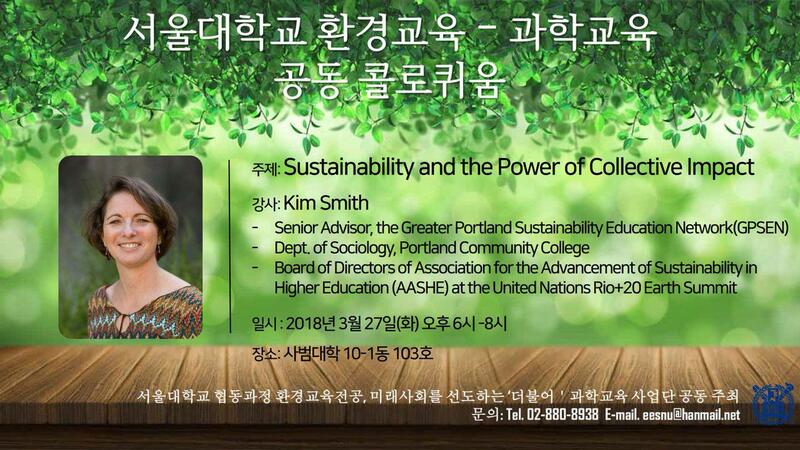 Environmental Sociology Professor Dr. Kim Smith will share lessons from higher education in the United States and community networks in Portland, Oregon. Recognizing the power of education to inspire and engage, we will explore how Education for Sustainable Development (ESD) offers solutions to the pressing issues of our times. Through examples of hope and resilience on our campuses and in our communities, Dr. Smith will demonstrate policies and practices that offer a vision for a sustainable world that benefits present and future generations.